Busy through the day, Saigonese interested in getting fit or keeping fit are going to the gym at midnight. 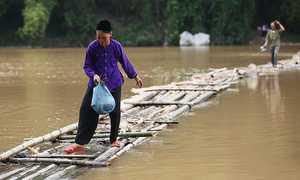 It’s safe to say that indoor workouts have gradually become indispensable for urban Vietnamese who want to stay in shape, what with the worsening air pollution, traffic congestion and unhealthy food promoting waistline growth. A tight schedule eats up all their daytime and does not allow many of these people to head to the gyms early in the morning or even. Discerning this demand, at least professional gyms have decided to remain open 24/7. 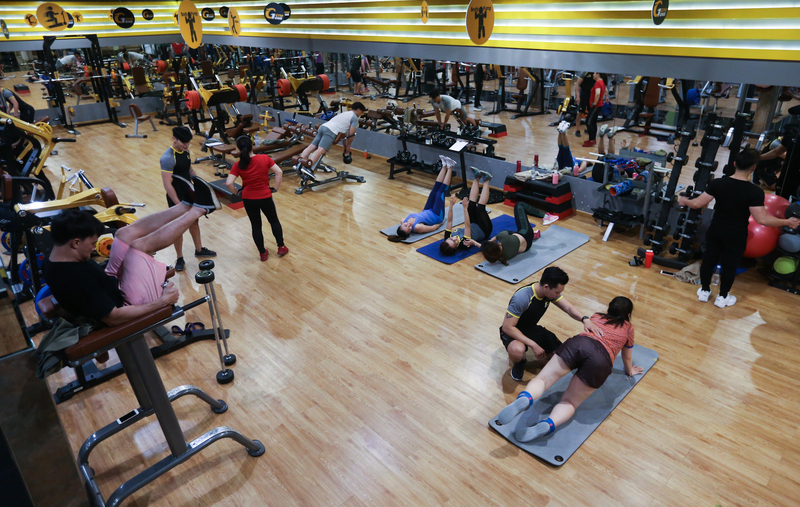 It is 11:20 p.m., and this has become a common sight at a gym in Saigon’s District 3. 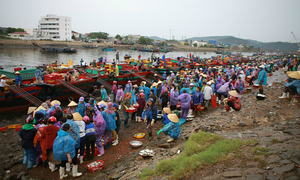 Mai Bich Phuong, communications manager for a gym in District 3, told VnExpress International that they began to remain open throughout the nigh early this year in response to customer demand. With a ball in her hands, Quynh Anh, 21, pays close attention to her personal trainer as she does lunges, an exercise for legs and thighs. As a freelance model, Anh usually stops by the gym after 10 p.m. or later. Her job does not allow her much free time during the day. “It is obvious that I need a fit body for my job and working out is crucial. Going to the gym during nighttime makes it easier for me because I have to work a lot during the day and doing exercises can make me too tired to work. 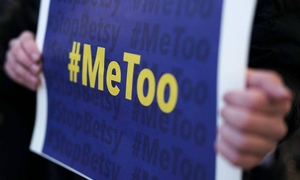 Spending 90 minutes every night for working out is a better choice,” she said. 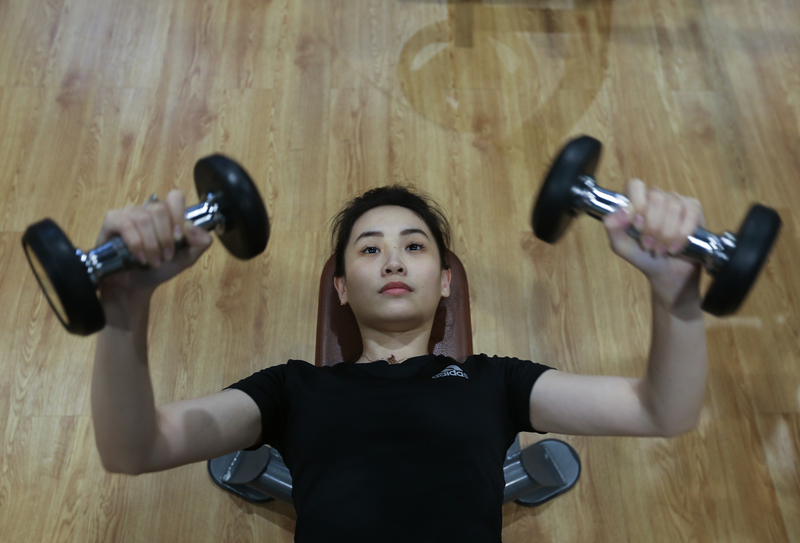 Quynh Anh lifts weights during her nighttime gym session. Though she works out late, Anh can still hire a personal trainer from the gym. 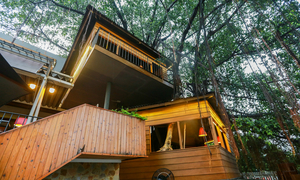 The cost is around VND1 million ($43) per session, and the time is decided by the guests. 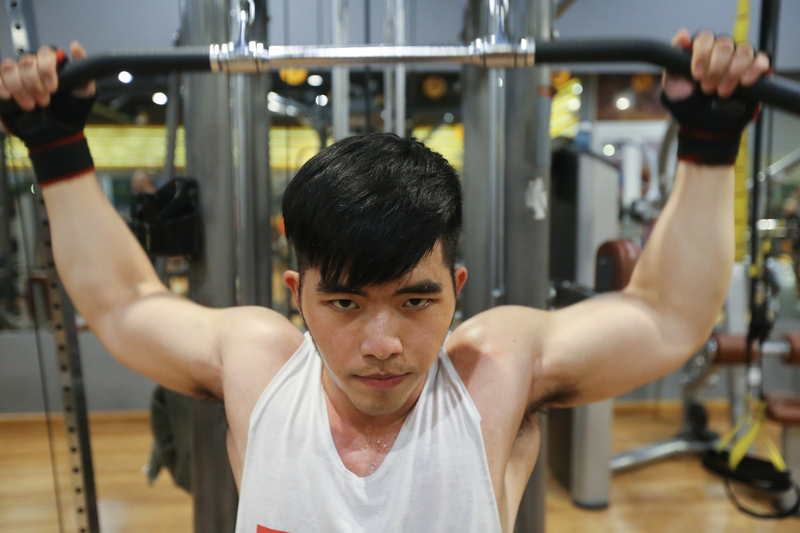 Le Quang Vy, 24, has worked out at indoor gyms for three years. Recently, he has begun late night sessions twice a week due to his busy schedule. 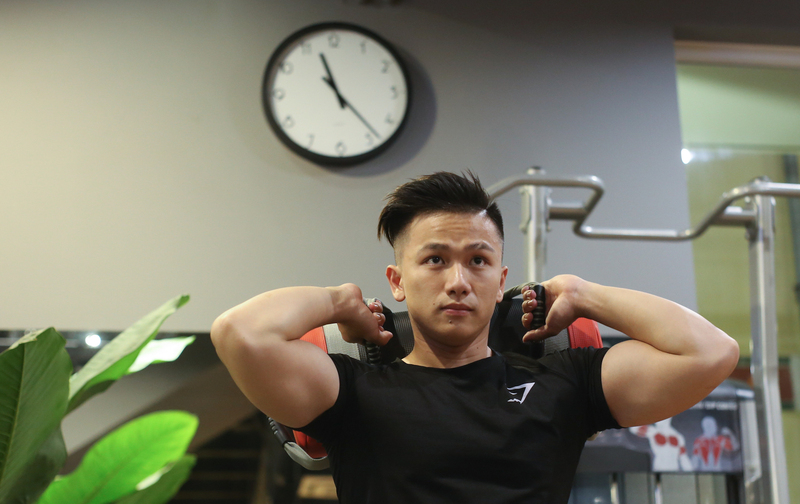 Le Quang Vy works out on a machine for his chest, biceps and shoulders. 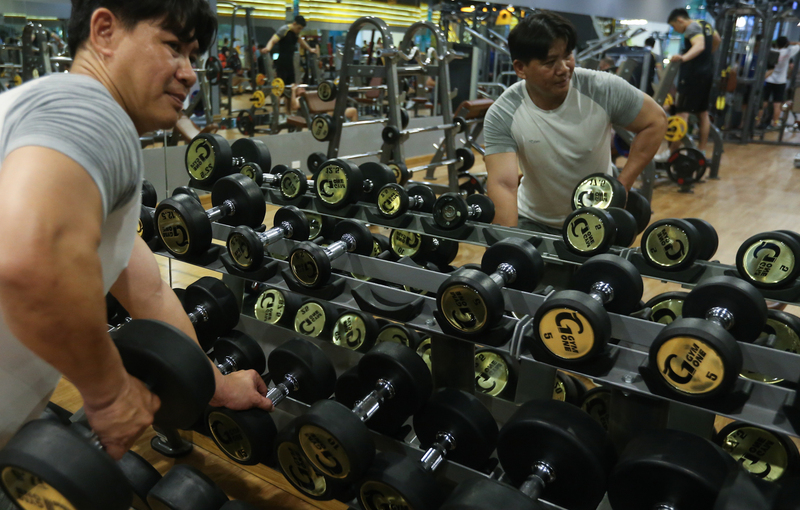 Nguyen Thanh Loc, 46, is a driver and it is normal that he only finishes his work after 10 p.m.
Nguyen Thanh Loc choosing weights for his lifting routine. “Instead of heading home straight after work, I drop by here to exercise and make sure that I get home around midnight. Working out at this time is much more flexible, I can spend as much time at the gym as I want because all the jobs have been done,” he said. 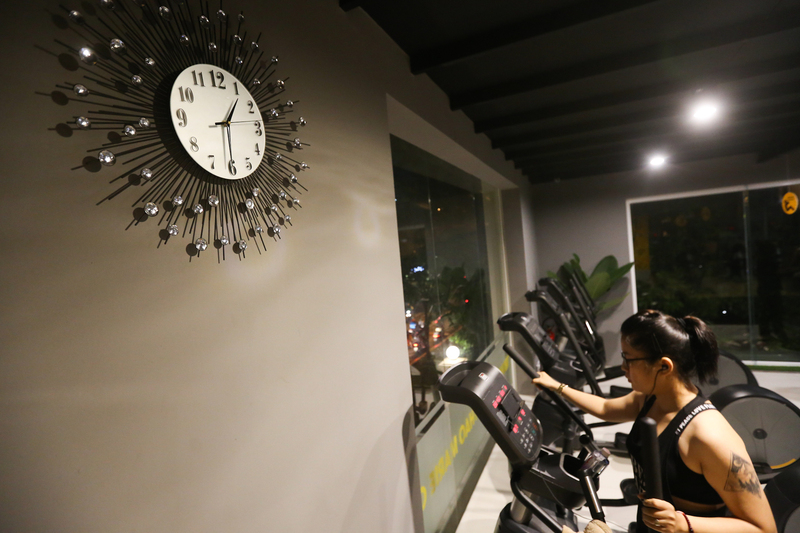 The gym manager said that the fee for working out late in the night drops to around VND4 million ($170) per year compared to around VND15 million per year for daytime sessions. This woman is no Cinderella that needs to return home after midnight. Half an hour until midnight and there is no rush, as long as it means getting in shape.